It’s been an up and down season for the Pittsburgh Pirates. 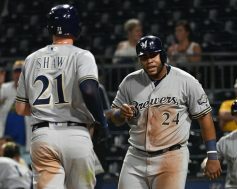 Unfortunately here we are at crunch time of the year, and the downward spiral continued for this team following a 5-2 loss to the St. Louis Cardinals on Tuesday night. The Pirates are now four games under .500, an embarrassing 14 games out of first place in the N.L. Central division and 8.5 games out of the final Wild Card spot. Things are bleak right now for Pittsburgh baseball fans – and no wonder. 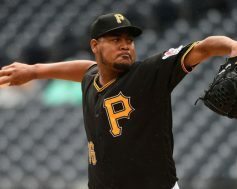 Ivan Nova started for the Bucs on Tuesday, giving up four runs on six hits in just 3.2 innings of work. His record fell to 7-9, raising his ERA to 4.35 on the season. Steven Brault was effective in relief, giving up just two hits and striking out six batters in his 3.1 innings. 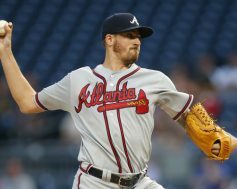 The Pittsburgh Pirates offense has been downright dreadful as of late and that trend continued tonight in a 6-1 loss to the Atlanta Braves. Pittsburgh would only tally five hits on the night and never looked like a threat to do any damage when the few opportunities arose. The Pirates would collect another quality start, but a slipup from the bullpen really put this game out of reach. 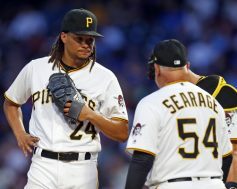 Despite splitting a series over the weekend against the first place Chicago Cubs, the Pittsburgh Pirates are not playing their best baseball. While the pitching has been tremendous lately, the offense has been non-existent. Unfortunately, that trend continued for Pittsburgh tonight, as they lost yet another 1-0 game, this time to the Atlanta Braves. Chris Archer started for Pittsburgh tonight, giving up one run on five hits with a walk and three strikeouts in four innings of work. He would have lasted longer, but he was pulled after pitching the top of the fourth with left leg discomfort. He appeared to injure his leg while at bat in the bottom of the third. After pitching the top of the fourth, he was relieved by Steven Brault, who pitched two scoreless innings. 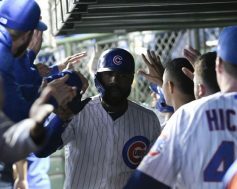 The Pittsburgh Pirates entered tonight on a three-game losing streak and welcomed the Chicago Cubs to town for a four-game series. 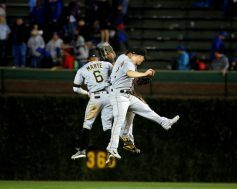 Pittsburgh had played well against Chicago earlier in the season, but the Cubs have been getting the best of the Pirates as of late and that trend continued tonight when they defeated the Buccos 1-0. Pitching is what dominated this game. 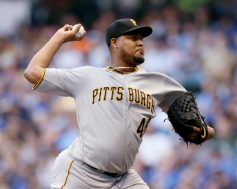 Pittsburgh sent Ivan Nova to the mound and he would work 6.2 innings. He would allow one run on seven hits to go with three strikeouts. 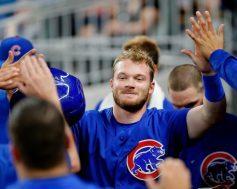 That lone run was a solo home run from Ian Happ in the fourth inning. Richard Rodriguez lasted 1.1 innings and would strikeout all four batters that he faced. Felipe Vazquez worked the ninth and walked one batter, without allowing a run.